New York Times best-selling author Neil Gaiman's transcendent series SANDMAN is often hailed as the definitive Vertigo title and one of the finest achievements in graphic storytelling. Gaiman created an unforgettable tale of the forces that exist beyond life and death by weaving ancient mythology, folklore and fairy tales with his own distinct narrative vision. During Morpheus's incarceration, three dreams escaped the Dreaming and are now loose in the waking world. At the same time, a young woman named Rose Walker is searching for her little brother. As their stories converge, a vortex is discovered that could destroy all dreamers, and the world itself. 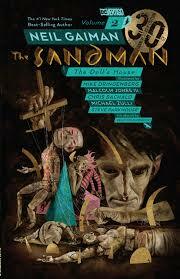 Collects THE SANDMAN #9-16.